Do use an icebreaker to start your group time! Good icebreakers can get a group talking, and they can be a bridge into the Bible study. If you have new group members or guests in attendance, good icebreakers help them engage in conversation with other group members. Do ask an icebreaker question that has no wrong answer. The last thing you need is to ask a question that shuts down discussion, and if your opening question feels like you’re “fishing” for a particular answer, you’ve asked a bad icebreaker question. The goal is to get discussion going, so ask questions that are open-ended. Do make sure that everyone in the group has a chance to talk and answer the question. Good icebreakers help group members get to know one another’s stories (and backstories) so it is important that everyone has a chance to talk. If someone looks like they can’t come up with an answer, it’s ok to skip them and circle back…but don’t force it…it’s also ok to move on rather than forcing the person to come up with an answer. Do be consistent in asking icebreakers. Don’t just ask an icebreaker question occasionally. 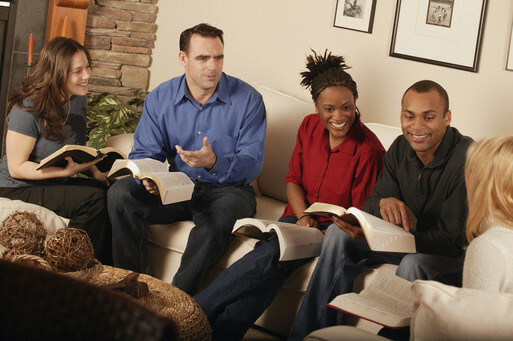 Be sure to do this every time your group gets together to study the Bible together. Do share your answer, too. I would caution you against asking a question and then immediately answering it yourself. But do join the conversation and answer your own question so that your group members have a chance to get to know you, and to hear your thoughts and ideas. Don’t forget to use one! Sure, you can lead a Bible study without using an icebreaker, but why would you want to?! Icebreakers can be critical in helping a group of strangers become a group of tight-knit friends. Don’t force people to answer the question. Like I said above, it’s great if everyone in the group talks, but don’t make someone answer a question. Putting them on the spot could do more harm than good, so if someone appears uncomfortable answering a question, just skip them…it’s no big deal. Don’t make one up at the last minute. Great icebreaker questions require lots of thought. Don’t make one up in the heat of the moment! Be sure to give enough time to ideate and create really great ones. Don’t have just one icebreaker question. Always have a second icebreaker question in mind should your first one not generate the discussion you want. If the first one falls flat, pull the second one out of your hat and use it, too. Don’t panic if there is silence. If you ask a good icebreaker and no one answer immediately, be sure not to jump right in and provide an answer of your own. If you answer too quickly, you’ll train your group members to wait for you to answer. If there’s silence, that’s ok…your people are thinking about how they want to answer your question…give them time to come up with an answer. Who in your life is good at making the best out of sour circumstances? If you could narrow your holiday traditions down to your most favorite one, which is it? The last time you faced a difficult circumstance, what emotions did you feel? Notice how each of those questions generates discussion and encourages people to tell their stories? That’s what makes good icebreaker questions. Follow this blog and receive daily posts to encourage and equip you in your role as a Bible study leader. Click here to jump to my homepage where you can sign up using only your email address. It’s never sold or given out, but allows you to receive a daily blog post in your inbox.